Apart from the religious aspect, I think that Christmas is for children. They are the ones whose eyes sparkle on Christmas morning as they see presents under the tree and their Christmas stockings filled with all kinds of delightful surprises. They still have the wonder and joy of it all and it is truly lovely to see it. This year, my granddaughter, who alternates Christmas celebrations either in Italy with her nonni or Italian grandparents or with us here, came with her parents to spend it in Vancouver. 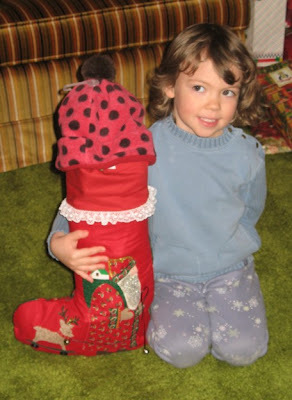 Being what I call the perfect age, four years old, she made Christmas day very special for us. She was not so excited that she was up at dawn, thank goodness. 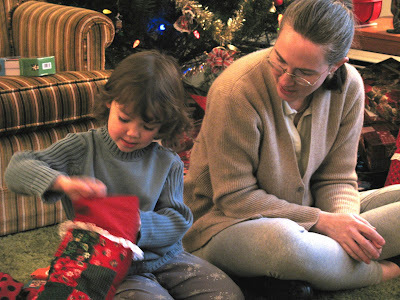 She had written a letter, with the help of her mother, to tell Santa that she was going to be in Vancouver for the celebration and he had replied that he would remember that. She played happily in the family room until her uncle came over at about 11 am and then we moved to the living room with the tree and the gifts. It is a long standing family tradition to play the Luciano Pavarotti O Holy Night collection while opening presents. We used to have the record, but now I have a CD. It still sends shivers down my spine, after all these years. Stockings are a very big thing in our household and they always contain colourful underwear, sox, books, a huge Toblerone and a Terry’s chocolate orange along with assorted other small things. We get so carried away with buying little things for each other that sometimes the goodies will not fit into the stocking. As you can see the little miss has a very large stocking, absolutely stuffed, with a new red hat holding in the overflow. 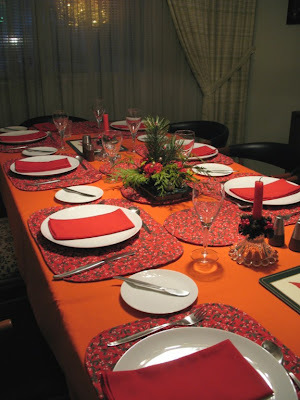 Dinner is a very traditional meal, with turkey and cranberry sauce, potatoes Romanov, brussels sprouts and other vegetables, Christmas pudding with a Foamy Eggnog Sauce, all made with recipes we have used for more than forty years. The only thing that varies are the appetizers we serve with drinks. We have celebrated Christmas with Scottish friends for these past forty years, alternating houses each year. Another celebratory meal at our house during the holidays is with longstanding friends and it always features Prime Rib Roast and this for dessert. 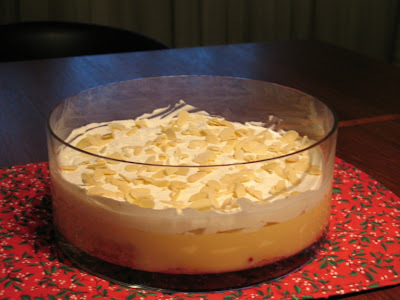 English Trifle, this year Raspberry and was it ever good. I’m sorry that I was too busy cooking and serving to take photos of the food as Welshcakes does, but it was a very enjoyable season for us with our daughter and family joining us. I’m also sorry that I haven’t been able to visit my favourite blog friends very much at this busy time of the year. There are some intrepid bloggers out there who are not taking a break, but I will be back in the near future to touch bases with you. I hope you all enjoyed this special time of the year with family or friends. Soon it will be another new year and my how they fly at my age. 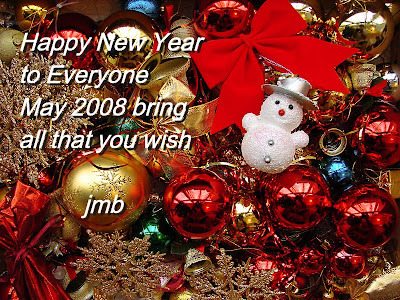 May I wish for each of you a very Happy, Healthy and Prosperous New Year for 2008.